I have always had a sweet tooth but I must admit that this pregnancy has put it on overdrive. I am trying to be careful with not over doing it but I love chocolate, from cookies to cake to ice cream. After having brunch with friends one weekend, we decided to take a stroll to get ice cream. We ended up here at Sweet Janes Shop, located at 27-17 24th Street. As soon as we walked in, the staff was so welcoming. They made sure to let us know that it is their policy to let you taste as many flavors as you want. I can never decide and ended up all over the place tasting flavors from salty dog to the S'mores. They were very accommodating and I never felt rushed. I decided on Coffee Kahlua which has a really strong flavor that I love! Their ice cream is heavenly and I don't say that often about ice cream. Usually, I prefer cakes or cookies to ice cream but this shop has me singing a different tune. 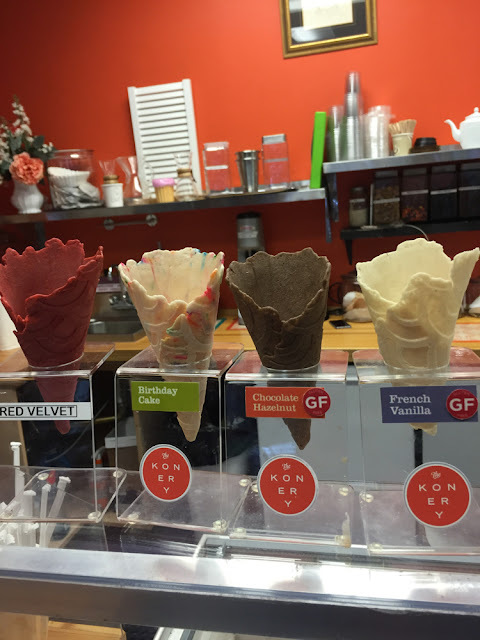 The texture is great and they really fill you up when they scoop their ice creams. I enjoyed this so much that my husband and I find ourselves walking over at night just for a scoop. It is about a 15 walk but so worth it. 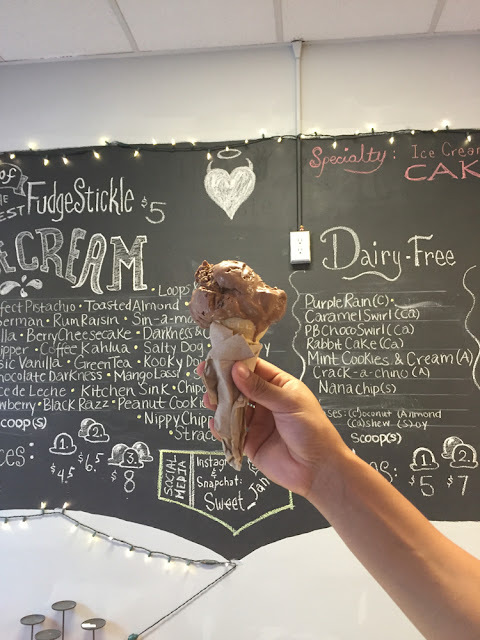 You have to make it to this ice cream shop in Astoria, it is a true gem in our neighborhood.